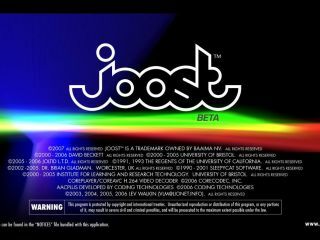 Joost is one of a growing band of ad-based internet TV ventures. Joost has launched. The BBC iPlayer is go . Channel 4 On Demand already has more than a million viewers. Internet TV is here. Over the next decade it's clear the way we accept, watch and time shift TV will change inexorably. And the most crucial time is now. For this two-part feature we've interviewed experts in the field to find out what they think about the internet TV bonanza. We ask them why content is still king and how they think the infrastructure of the internet will cope with it. By the way, Internet TV shouldn't be confused with on-demand IPTV services, such as BT Vision , that are delivered via broadband to your TV. Instead, it's the streaming of live content to a computer over the net. As if to demonstrate the popularity of internet TV, Motorola's Connected Home group surveyed 2,500 European broadband users about watching programmes online. The survey found that 45 per cent of them are already watching episodes of their favourite TV dramas. In 2006, analyst Screen Digest says the UK online TV market was worth just £18 million. In 2007 it says it expects it to top £59 million - a growth rate also shown in the US. Programmes at Channel 4's 4OD on-demand service have been watched by more than a million viewers since its launch six months ago. "It has definitely taken off," Sarah Rose, head of video-on-demand at Channel 4, told the Financial Times. "We were pleasantly surprised by people's willingness to pay." As well as free catch-up TV, viewers can pay 99p for dramas and other archive shows, or £1.99 for films. As part of its £20 million forthcoming revamp of ITV.com , the commercial broadcaster is also moving into on-demand services. The new service will add to its live streaming of UEFA Champions League matches. "A lot of the value of full length catch up will come from the main broadcasters," says Arash Amel, senior analyst at Screen Digest . "For download-to-own services, Apple and Xbox will capture the bulk of the market." But the flexibility and open playing field of internet TV is certainly a challenge for traditional broadcasters, says Karthik Ranjan, head of Internet TV for Amino Technologies . "What's to prevent me from running my service on the open internet? [It's not just about] broadcasters like the BBC who are putting content online. Pay TV operators are also [grappling] with this." Amel says that at the moment, internet TV isn't about people sitting in front of their PC watching a whole evening's worth of content. "Online TV is popular and our figures show a good take-up. But people are watching in a different way from TV. It's about short clips during work time - like clips from YouTube and BBC TV shows. "Pre-prime time is when people use it to catch up on episodes they've missed, and then watch the next episode on terrestrial TV. Babelgum is a service that, like Joost, is in the early stages of development. Tech.co.uk spoke to its founder and CEO Erik Lumer. Does he think the time is now for internet TV? You bet. "Over the past few years broadband internet connectivity has become the norm, and video encoding technology has become much more sophisticated and efficient," he says. "Peer-to-Peer (P2P) technology underpins the creation of the internet platform. Without P2P we would only be able replicate the quality of sites like YouTube and use just half or a corner of a screen, whereas by using P2P technology we are already able to offer full screen, high quality audio and visual." So quality is an issue. But so is how it will be paid for and who will provide it. "There are a number of players in the market - from established broadcasters to aggregators, distributors and content owners. All have a part to play in what is now a developing market.